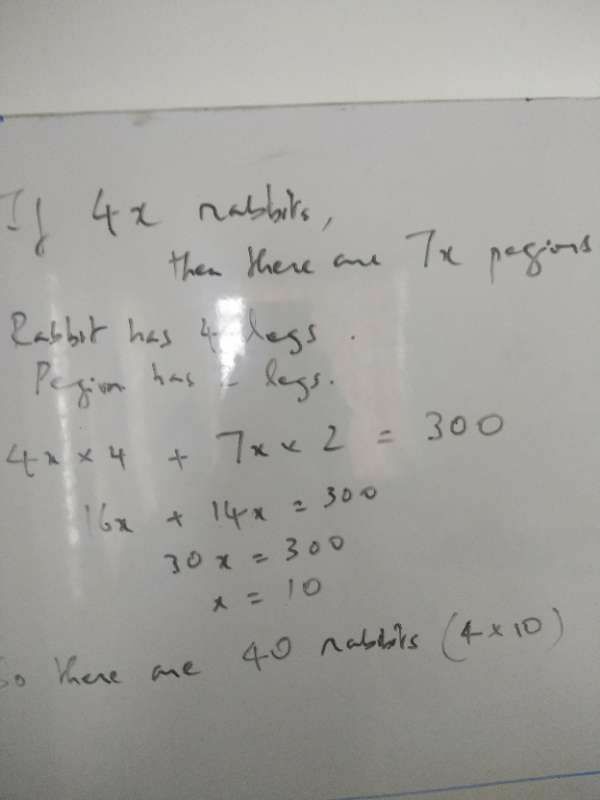 In a park there are rabbit and pegions in the ratio 4:7.if legs are counted total numbers of legs is 300.find the number of rabbit ? Clay6 needs your help to survive. We have roughly 7 lakh students visiting us monthly. We want to keep our services free and improve with prompt help and advanced solutions by adding more teachers and infrastructure. A small donation from you will help us reach that goal faster. Talk to your parents, teachers and school and spread the word about clay6. You can pay online or send a cheque. Below are our bank details. If doing online transfer (IMPS, NEFT), please send a screenshot of the payment transaction receipt from bank (send to info@clay6.com) along with your name and contact details, and we will email you a thank you note when we receive your payment. Please give us at least 24 hours for the payment to be processed. Please give us at least one week for the cheque to be processed. Your payment for is successful.